It was also important to create a feast (salad Nicoise) using our own “farm farsh” eggs. Alas, the black olives and string beans for the salad were not from our garden, but the broccoli and Brussels sprouts and herbs and tomatoes were. 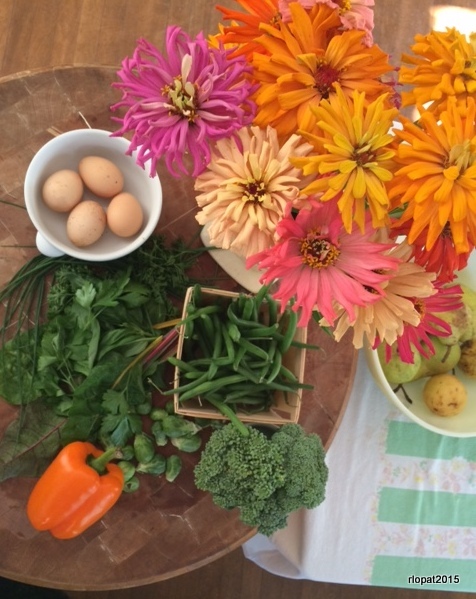 It’s been a lousy year for all tomatoes but those zinnias–magnifique–the best year ever! 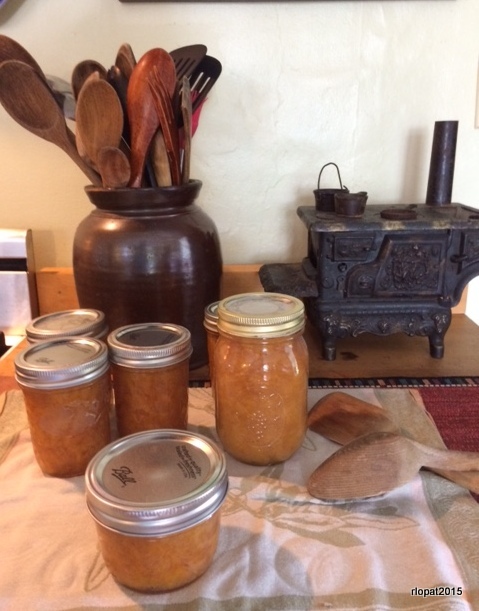 And I even managed to make peach preserves yesterday. What kind of preserves did you make? This is my favorite time of year….tasty-bright times. Looking like magazine photos! Cool! I agree with John, the photos are great!! The Martha in you is really coming thru! 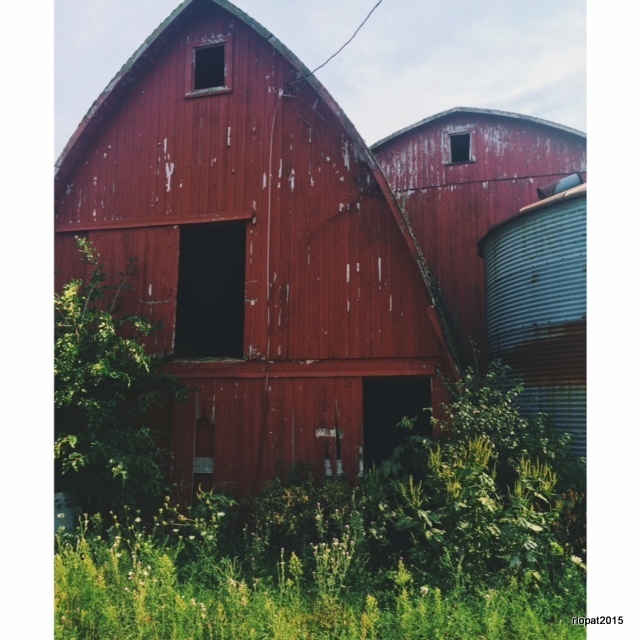 I enjoy reading your blog and especially LOVE the photo of the barn!